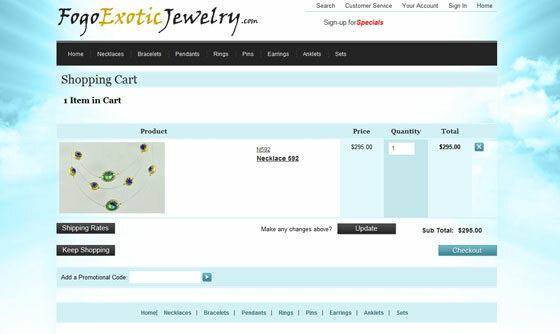 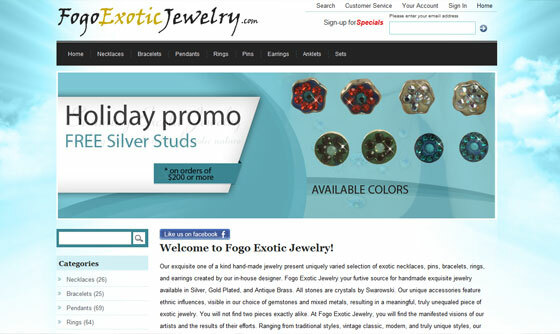 Jewelry website design and website development services for FogoExoticJewelry.com. 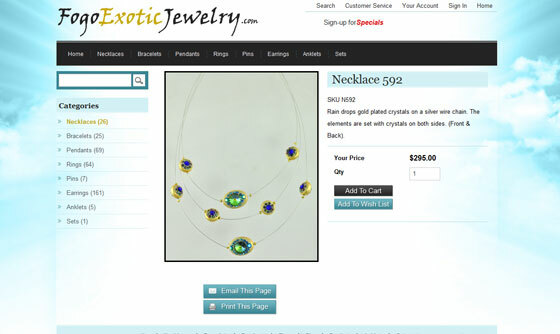 A specialized hadn made jewelry designer located in Los Angeles. 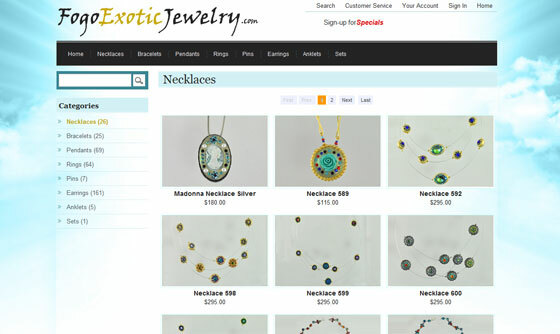 IBCnet was hired to provide infrastructure consulting, planning, and web development services tailored around provided graphic design templates.